Can’t make it to the event? Pre-order a signed copy here. Artfully depicting the passionate friendships, outsized emotions, toxic betrayals, and dangerous impulses of shape-shifting female teens, this audacious storyteller unleashes a searing portrayal of identity, love, and violence. The discussion portion of the program will begin at 7 pm. Destined to be the must-read book of the summer, Girls on Fire, the starkly beautiful novel by Robin Wasserman, is a coming-of-age tale so incendiary that it should be stamped with an advisory label. Set in the early 1990s—with grunge sweeping across the country from its Seattle epicenter and Kurt Cobain emerging as the tortured voice of disaffected youth—-the hypnotic spellbinder mines the rocky terrain between adolescence and adulthood with razor-sharp precision certain to leave marks. The week after Halloween of 1991, the body of one of Battle Creek, Pennsylvania’s most popular high school athletes is discovered in the woods. The shot to his head and the gun in his hands scream suicide—but accounts of satanic cult activity in the area only exacerbate the climate of fear in this ultra-conventional small town. In the aftermath of the tragedy, smart but socially awkward Hannah Dexter attracts the attention of wild child Lacey Champlain, a magnetic newcomer with a dark background, an insatiable appetite for rebellion, and a reverence for all things Cobain. Their connection is instant, powerful, and soon, all-consuming. A black-haired, red-lipped Pygmalion in flannel and combat boots, Lacey painstakingly remolds her eager protégée inside and out, even renaming her creation Dex. Always an apt pupil, Dex soaks up the intoxicating influence of her alpha mentor. Before long, the two become inseparable. Breaking rules, pushing limits, upending boundaries, inciting dramas—Lacey and Dex relish the increasingly chaotic trail they blaze together. But then a horrific night of drinking and degradation tests the bond between these partners in crime, unleashing a chain of events that will snuff out whatever remnants of innocence they still possess. 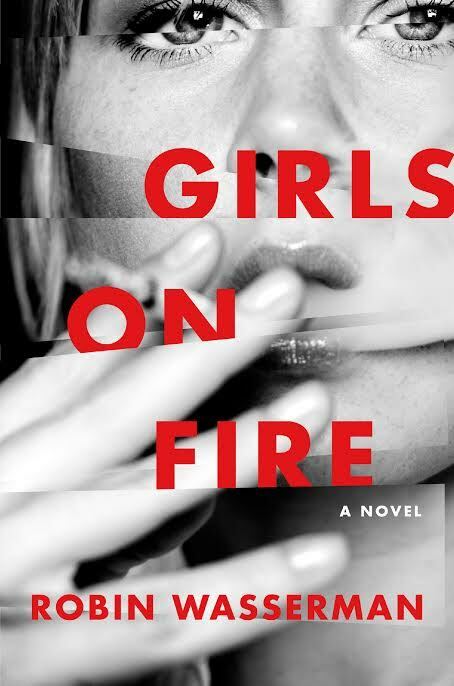 Dark, profound, fiendishly clever, and heart-stoppingly unsettling, Girls on Fire exposes the deepest secrets of girls, those unknowable and inchoate human beings, for all to see. Both a complicated puzzle that fills in bit by bit and a sobering meditation on the intricacies of female relationships, this breathtaking novel is quite simply a knockout, one that instantly establishes Robin Wasserman as a major talent in contemporary fiction. Robin Wasserman is a graduate of Harvard University and the author of several successful novels for young adults. A recent recipient of a MacDowell fellowship, she lives in Brooklyn, New York. GIRLS ON FIRE is her first novel for adults. Please visit her website www.robinwasserman.com and follow her on Twitter @robinwasserman for more information.